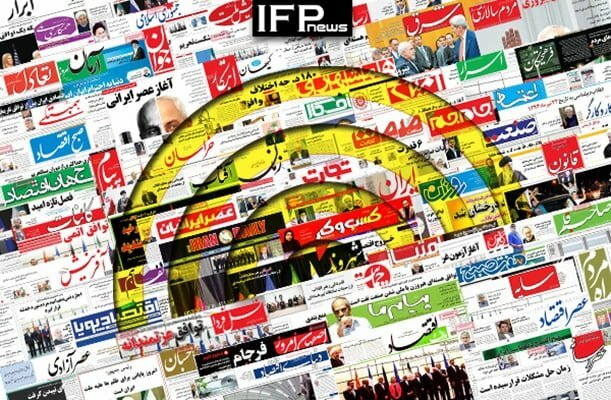 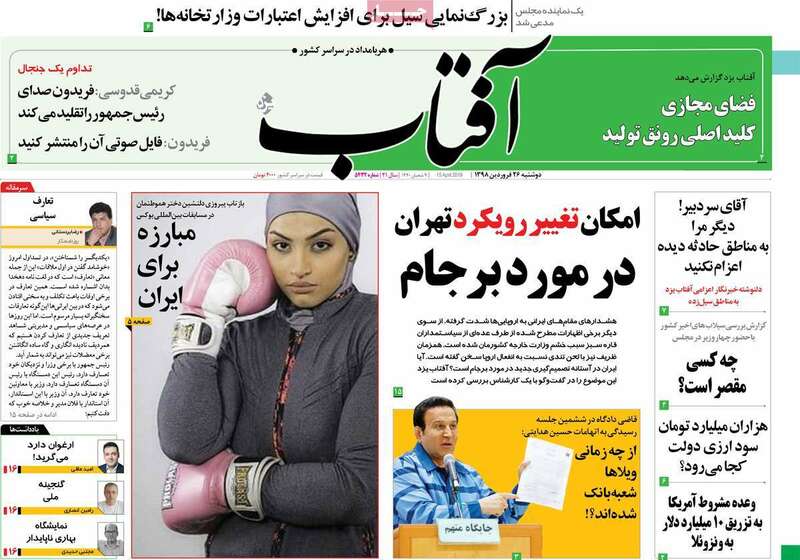 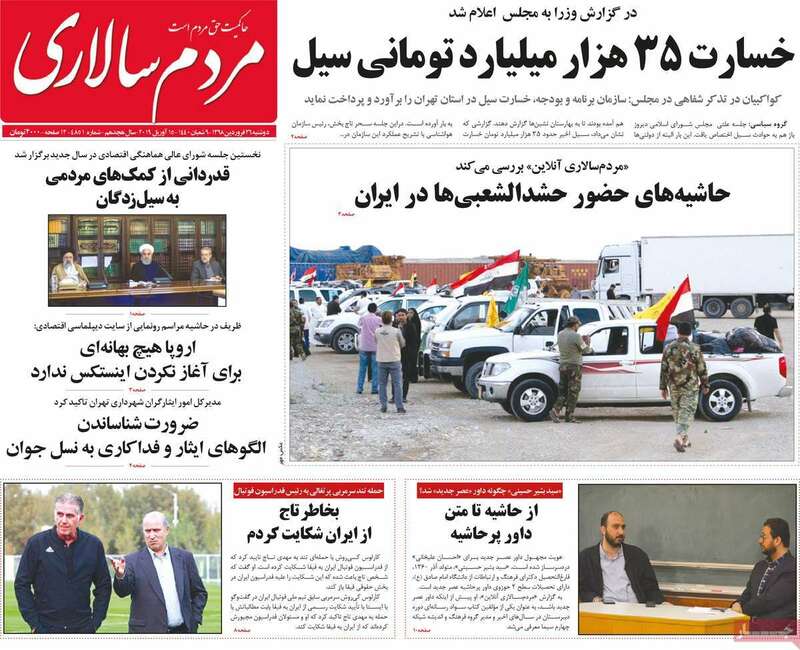 The top story in all papers today was an “unacceptable” tweet by French Ambassador to the UN Gerard Araud, in which he claimed Iran will not need to enrich uranium even after 2025, when the JCPOA will let Iran resume its higher-level enrichment. 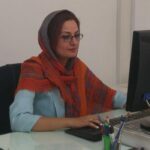 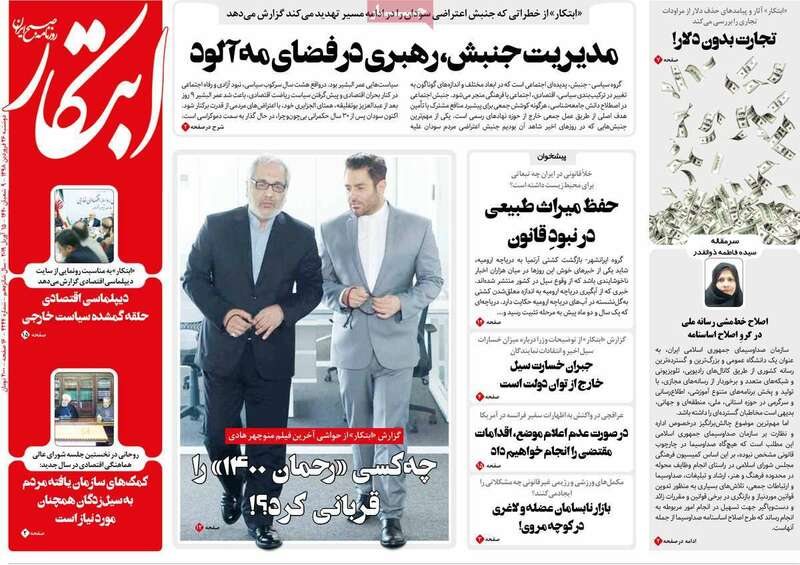 The move was strongly protested by the Iranian foreign ministry, which summoned the new French envoy to Tehran, and asked for Paris’ explanation. 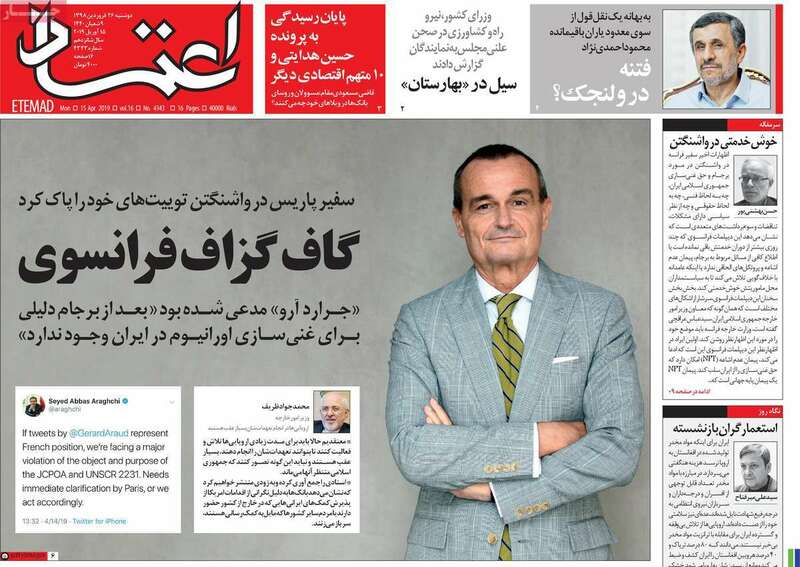 Araud later deleted the tweets. 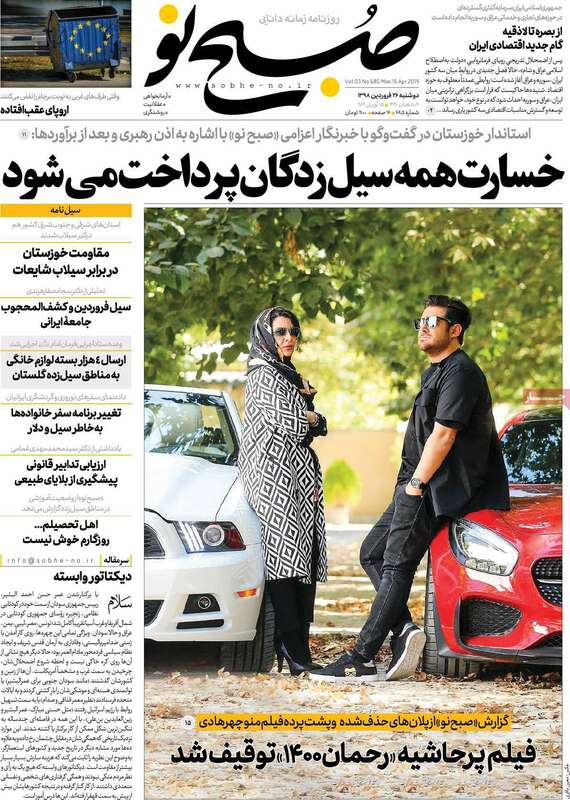 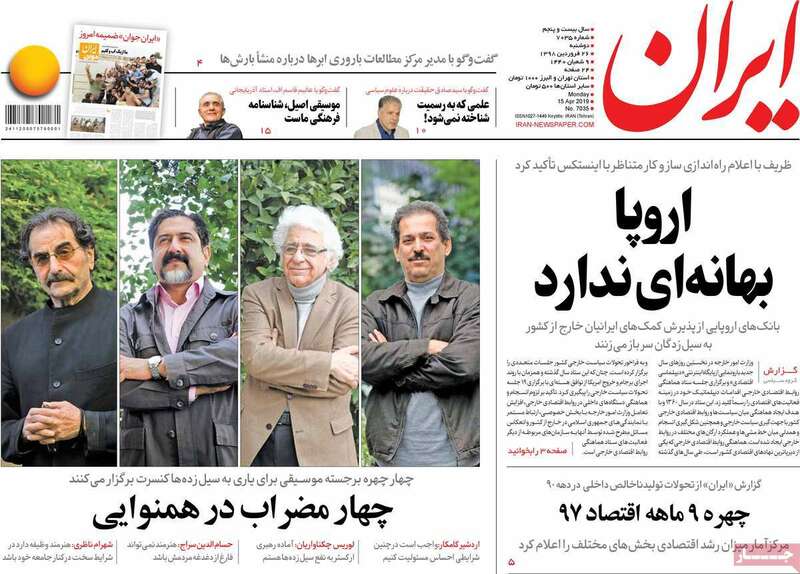 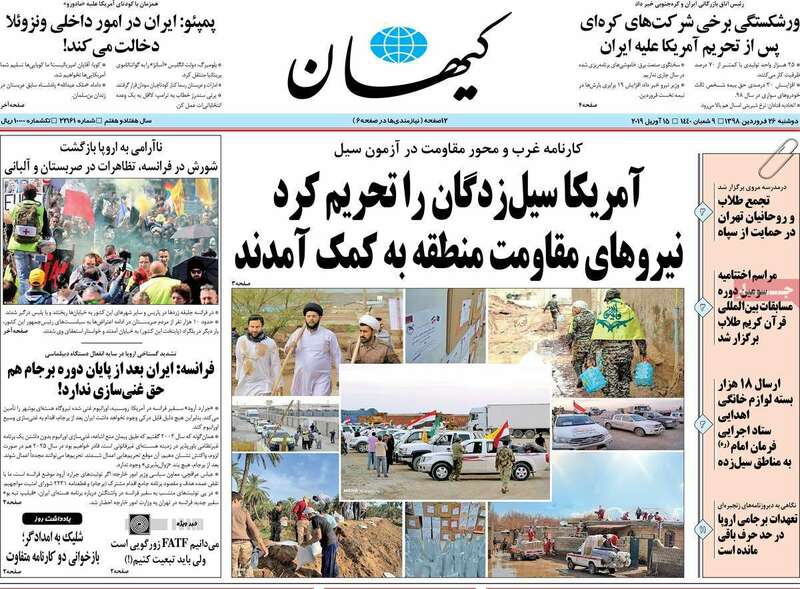 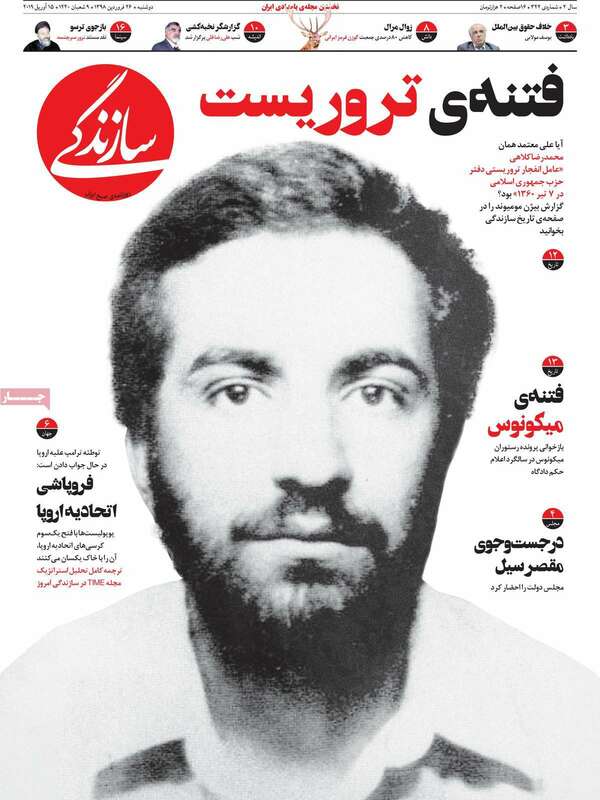 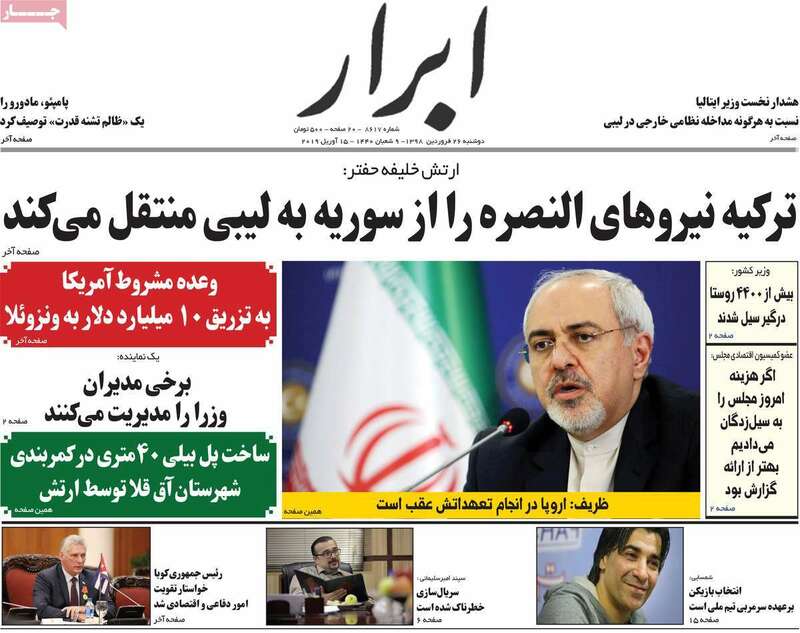 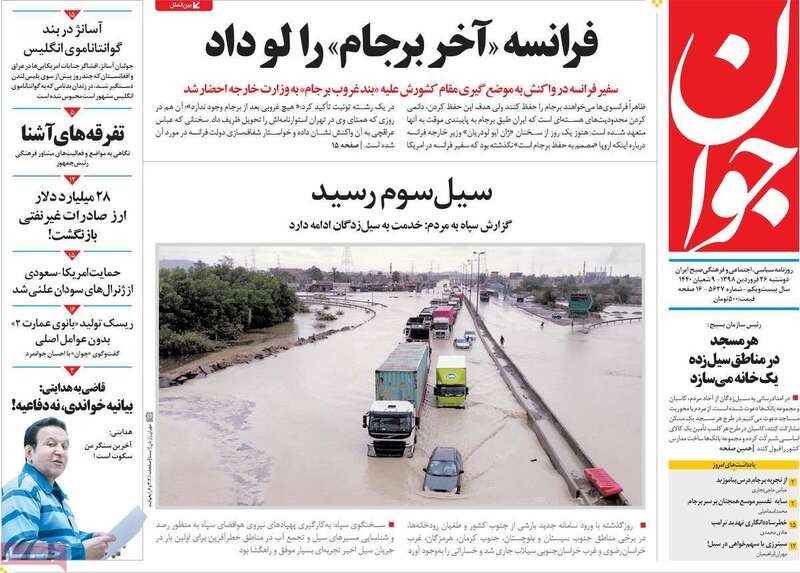 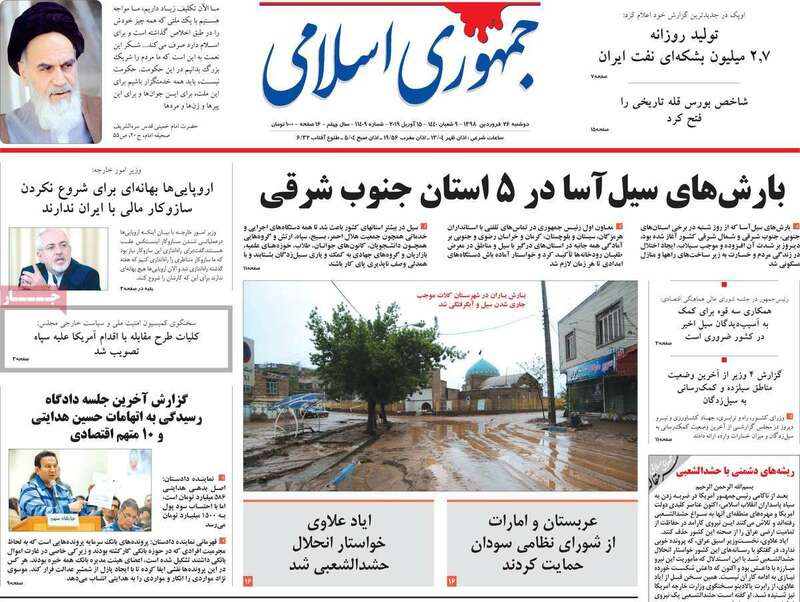 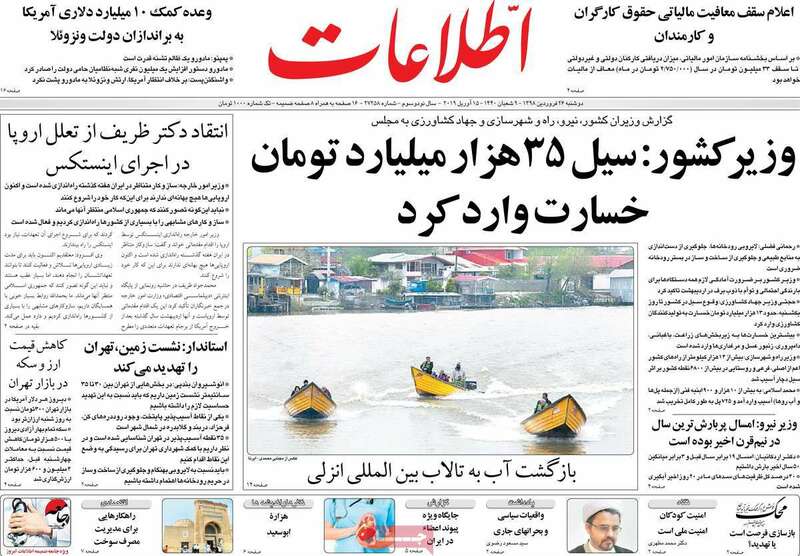 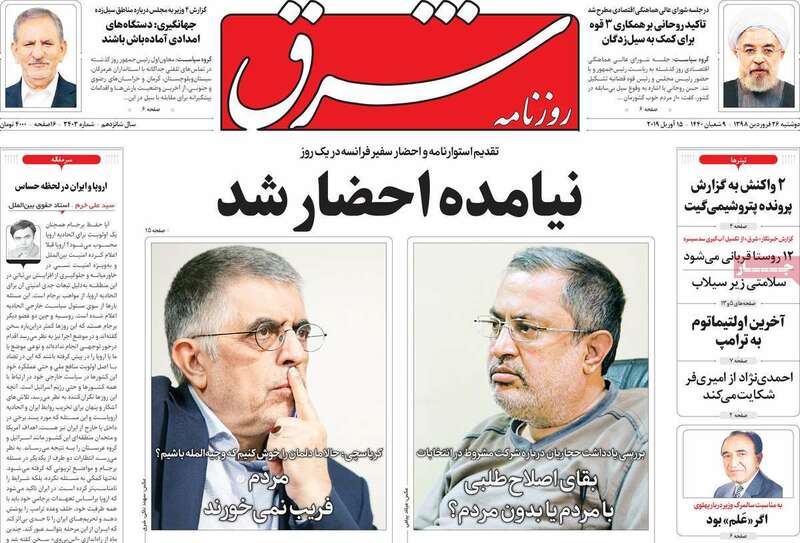 Iranian Foreign Minister Mohammad Javad Zarif’s criticism of Europe over its delay in launching its special purpose vehicle, known as INSTEX, also received great coverage.